Suite with fashionable style. Fully equipped kitchen - Microwave/ Combination of an Oven & toaster - Utensils, crockery, cutlery and glassware. Suite with terrace, fashionable style. Fully equipped kitchen - Microwave/ Combination of an Oven & toaster - Utensils, crockery, cutlery and glassware. Suite of 47 m² with terrace of 17 m², fashionable style. Fully equipped kitchen - Microwave/ Combination of an Oven & toaster - Utensils, crockery, cutlery and glassware. 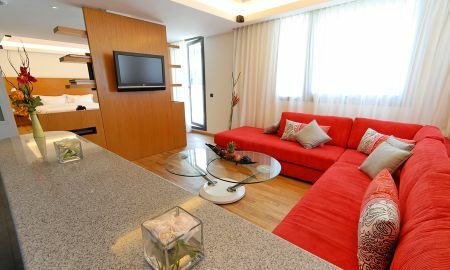 Suite with terrace of 23 m², fashionable style. Fully equipped kitchen - Microwave/ Combination of an Oven & toaster - Utensils, crockery, cutlery and glassware. Suite with terrace of 45 m², fashionable style. Fully equipped kitchen - Microwave/ Combination of an Oven & toaster - Utensils, crockery, cutlery and glassware. 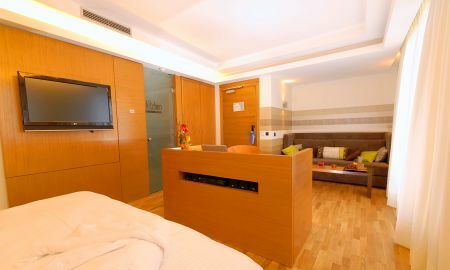 The JM Suites boast 22 state of the art technological suites, all equipped with the modern comforts of a five star hotel. Each suite is designed with every traveler’s need in mind: a furnished kitchenette greets guests with the comforts of home, an LCD screen with more than 300 complimentary TV channels in 6 different languages, as well as a home theater, DVD player, free Wi-Fi connection and double glazing system make this hotel a not-to-miss opportunity for traveler’s looking for a luxurious getaway. Many suites come with a stunning balcony or terrace with spectacular views of the Art Deco region, perfect for guests seeking a romantic ambience for their evening meals. 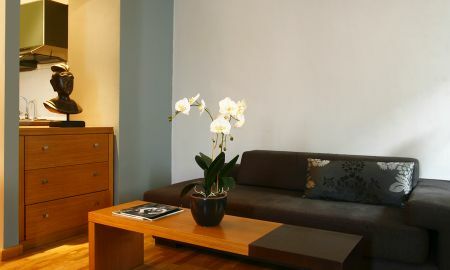 Certain services have established JM Suites’ astounding reputation, such as daily turn down, a pillow menu, and an overall welcoming atmosphere with excellence quality of service. Jm suites Hotel offers you a refined breakfast, and an international restaurant “LA TABLE DU JM”. The exclusive Spa comes with a deluxe package including a 1 hour stress relieving massage with natural oils, a 30 minute ancestral scrub in an authenitc hammam, and 20 minutes in a Finnish Sauna. Our fitness facilities are open 24 hours for workouts anytime, convenient for travelers of all schedules and agendas. For the business-minded, the meeting room holds up to 40 people. There is a Car Rental company onsite, as well as daily newspapers, complimentary shuttle service to Morocco Mall. 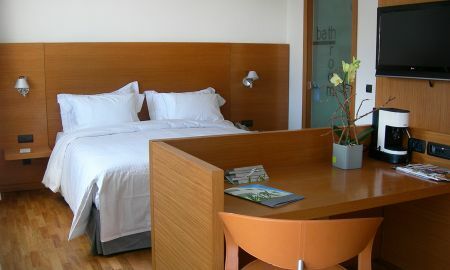 The JM Suites prides itself on being an Eco-friendly hotel. We were awarded the international “Green Key” label for the third consecutive year in 2011 (2009, 2010, 2011). 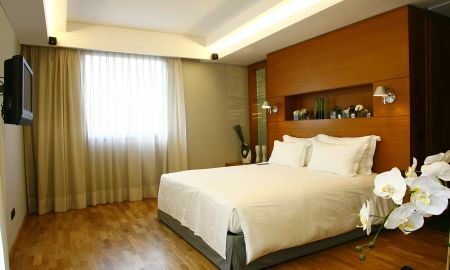 Located in a prime area of the Arc Deco district, right in the throbbing financial center of Casablanca, surrounded by museums and restaurants, making your stay a convenient and lovely experience.